The River Stour is classified as a chalk river; however, it varies from most chalk rivers as it does not rise through chalk. Instead both the East Stour and Great Stour sources are found in Gault Clay and Greensand soils and only flow through chalk after their confluence in Ashford. 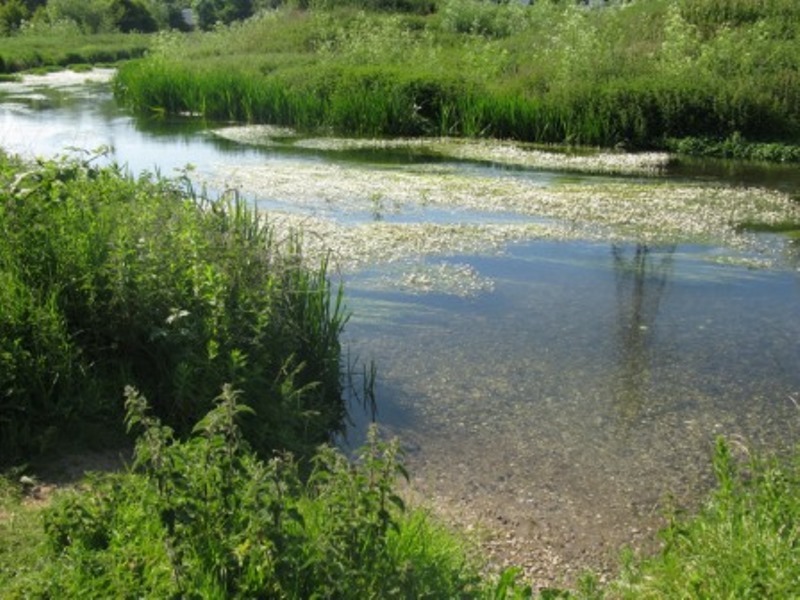 After flowing through the chalk North Downs at Wye the River Stour develops many of the key characteristics of a chalk river including crystal-clear water, consistent flow and clean gravel beds. 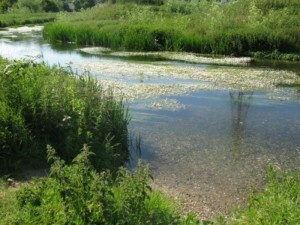 Chalk rivers are rare habitats with only 200 found globally, 85% of these are found in England. Passing through chalk means the water is of good chemical quality and has relatively stable temperatures and is consequently able to support a diverse ecosystem. The high quality of water and gravel beds make chalk streams excellent for invertebrates to thrive, consequently there are many fish species in these waters feeding on the invertebrates. Furthermore the well vegetated banks and smaller channels provide fish with shelter to hide from their predators. However 77% of the chalk streams in England are failing to meet a ‘good’ status which is required by the Water Framework Directive and only 12 of the 224 chalk streams are protected.